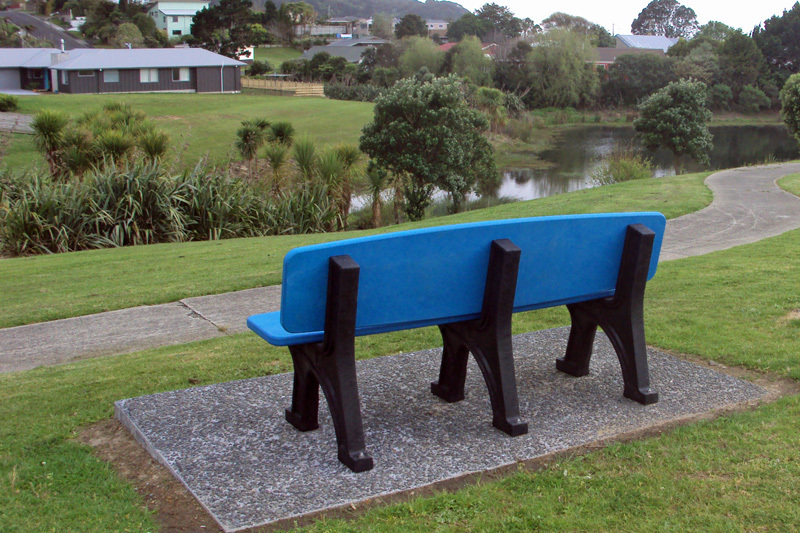 There’s a recycled plastic Beachcomber Seat at Waihi Beach in New Zealand, and it is something special. It’s a memorial to a couple who used to sit in front of their home and take in the view, enjoying their retirement as they looked out on the Pacific to Mayor island. When family members saw a Beachcomber displayed at the NZ National Fieldays, it gave them an idea, one we quickly helped them turn to reality. 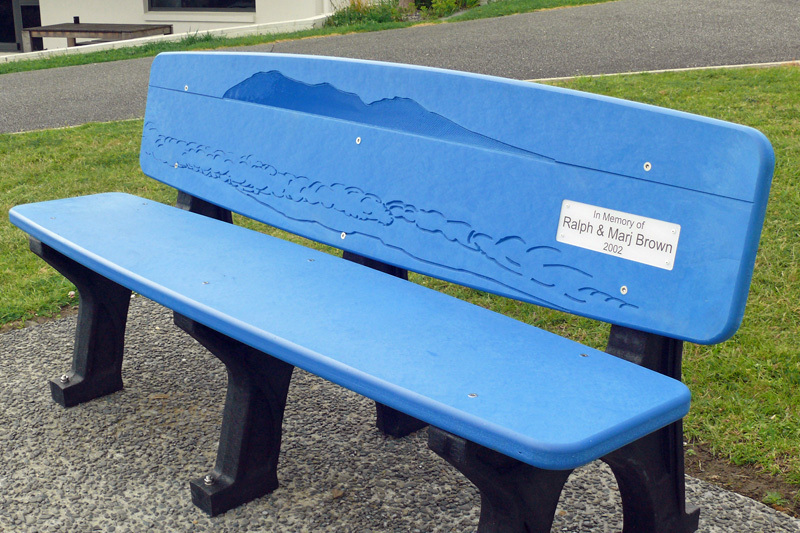 The seat back carries an image of Mayor Island and the surrounding sea, routed into the recycled plastic as a fixed part of the design and representing the view that the late couple loved so much. Although you cannot tell from the photographs, the seat is positioned so that the imagery reflects the panorama observed when sitting at the very spot. A nice innovation in memorial seats, and an example of what can be done with versatile recycled plastic. Subscribe to our mailing list to receive the latest information about our products and what we are doing.